Product #20724 | SKU SSP7900 | 0.0 (no ratings yet) Thanks for your rating! 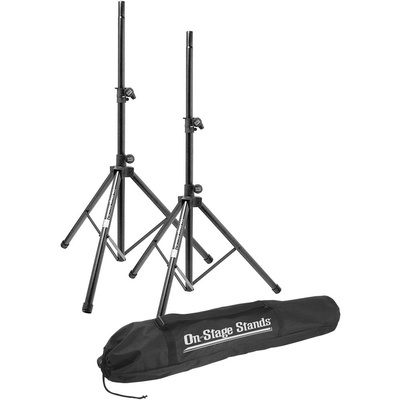 The SSP7900 All-Aluminium Speaker Stand Pack from On-Stage includes two all-aluminium speaker stands. The stand's height can be adjusted from 114 to 190 cm. They are capable of supporting speakers weighing up to 54 kg. A drawstring carrying bag with interior centre divider is included for storage and transport.